Director Diane Paragas' work spans documentaries, narrative films and commercials with much of it rooted in the stories of real people. Her documentary work includes Brooklyn Boheme¸ a feature-length documentary about a African American arts movement for Showtime that she made in tandem with writer and critic Nelson George. The film which won the Black Reel Award for best documentary featured Spike Lee, Chris Rock and Rosie Perez to name a few. After escaping Martial Law in the Philippines, Paragas and her family moved to Lubbock, Texas. One of the only a handful of Asians growing up in Lubbock, Texas, Paragas explored music, film and art as a way of expressing her uniqueness. She even formed a band, shaved the side of her head and even recorded a single while in high school. Paragas just completed a narrative feature film, Yellow Rose, about an undocumented Filipino-American teen pursuing a dream to become a country music singer. 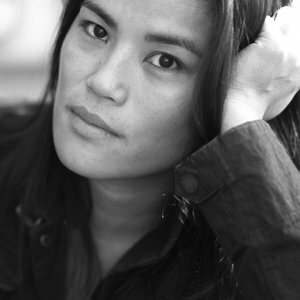 She is also in production for a bold feature documentary about a wrongfully convicted illegal immigrant called “The Three Lives of David Wong” that uses puppetry to tell its story which was selected for the Sundance Creative Producing Labs and recently won grants from the Bertha Foundation and CAAM.